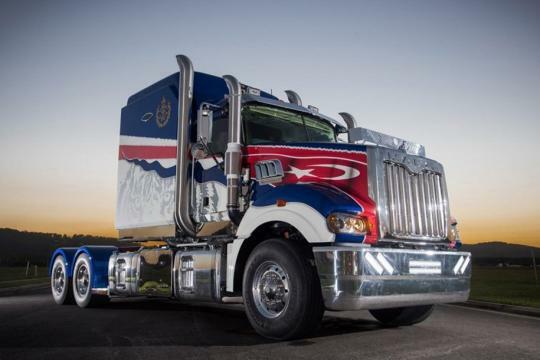 The Super-Liner took a year to build at the manufacturer's Wacol headquarters, south-west of Brisbane. 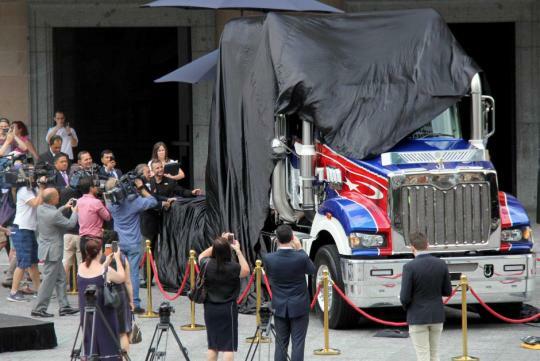 The truck, unveiled in King George Square in Brisbane's CBD, truly is a ride fit for a king — or His Majesty Ibrahim Ismail, Malaysia's Sultan of Johor, to be precise. 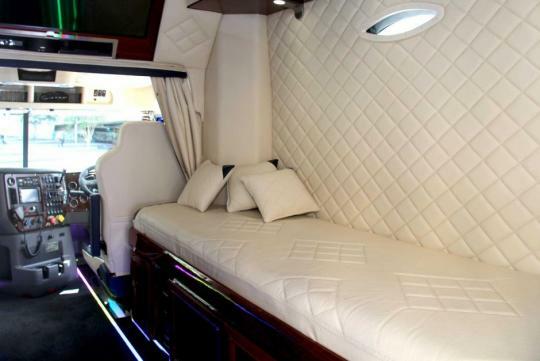 The specially-built sleeper unit that is 80 per cent larger than a standard unit and is fully upholstered with imported South African leather. 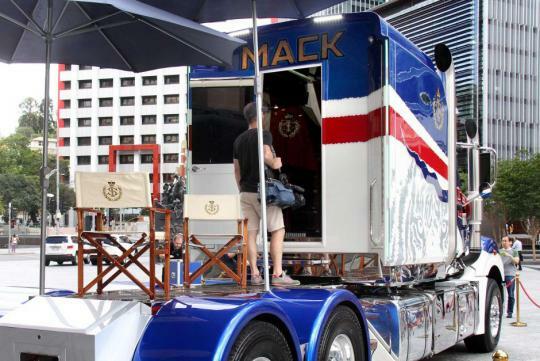 The rig has some of the fanciest extras around, including a six-camera CCTV system, two flat screen TVs, a stone-topped kitchen area, barbecue, double bed and seats with 72,000 stitches of gold thread. 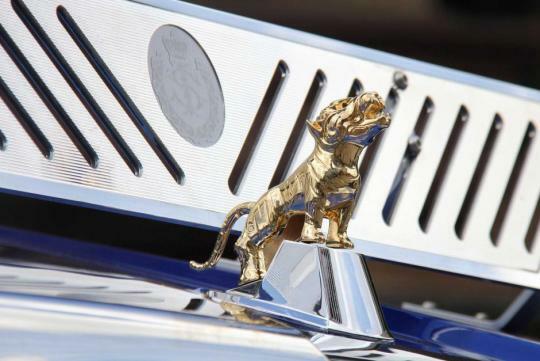 It also boasts a solid-gold tiger hood ornament. "This is my dream — am I smiling?" 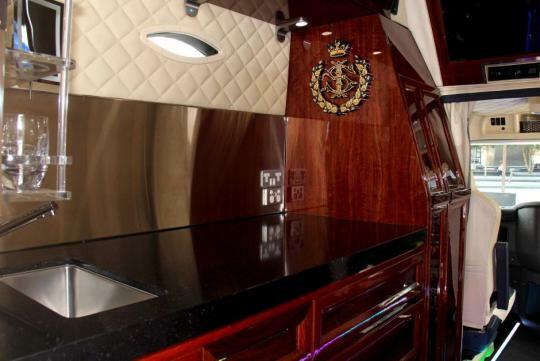 the Sultan said of his "palace truck". 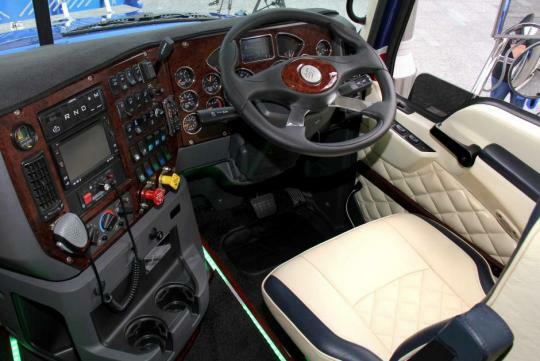 The price tag is a well-kept secret, but smashes the previous record of $481,000 for a customised rig. 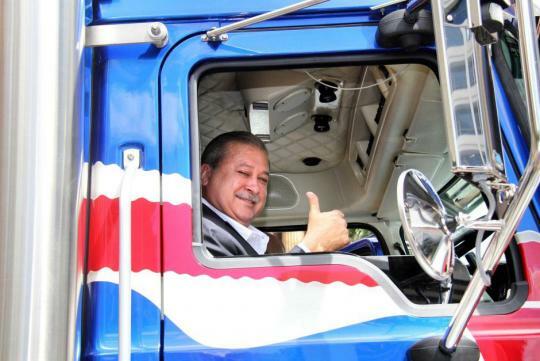 Sultan Ibrahim said he was delighted with the end result. "I have always appreciated Australia's engineering skills and have collected a few Holden cars over the years," he said. "I am looking forward to showing its workmanship to the people of Johor as soon as the Super-Liner is shipped over." 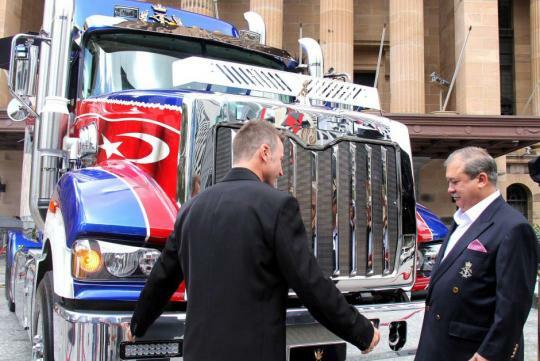 The Sultan ordered the heavy duty rig to tow his power boat around the country. But his first drive will be a charity run when it arrives in Malaysia at the end of October.